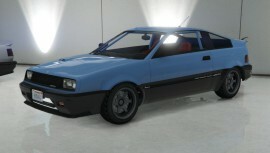 The Dinka Blista Compact is a 2-door sports hatchback featured in GTA 5. 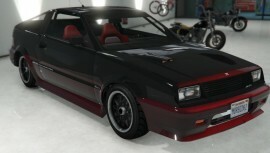 The car is based on the Honda CR-X but has a greater poly build making the car more realistic. 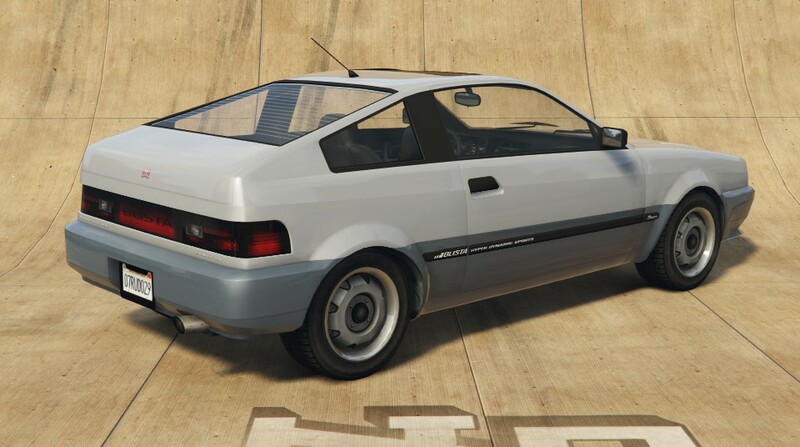 The Blista Compact may spawn with additional parts such as a spoiler and twin exhaust, making it resemble the CR-X SiR. The Blista Compact is powered by a high revving, twin cam 1.4L four-cylinder engine in an FF drivetrain layout, giving it a top speed of 241 km/h. The smooth 5-speed transmission and light weight means it accelerates from 0-100 km/h in 7.4 seconds. The stiff suspension gives it taut handling, and paired with the fast acceleration and top speed. Braking is relatively good, partly due to its light weight, but ABS is unavailable due to its age. Its turning radius is 35 degrees. Due to its small wheels, stiff suspension, and light body construction, the ride is that of which you’d expect in a sports car. It is very firm but still somewhat settled, but is somewhat unstable as it can roll over from obstructions easily. The body of the Blista Compact is relatively resistant to collisions, and for its size and age the engine is durable, however it still cannot sustain much gunfire or collisions before the engine dies out or catches fire. 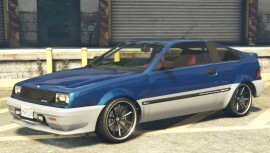 The Dinka Blista Compact is one of the best two door vehicles in GTA 5 due to its performance and accessibility. It is also very easy to park due to its high maneuverability, and can spin around with one rear wheel in place, while in reverse, and is able to execute the Spin and Go maneuver. 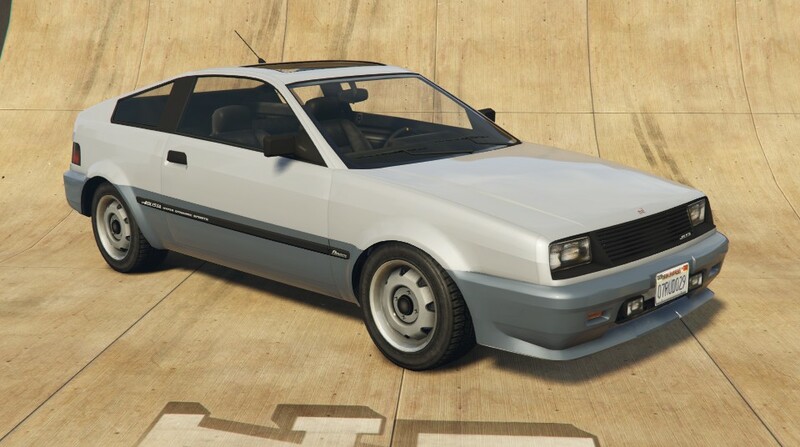 The interior design of the Blista Compact is exactly the same as the Karin Futo, just with a different logo on the steering wheel. 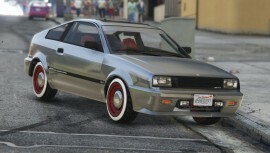 This includes the word “FUTO” in the tachometer. 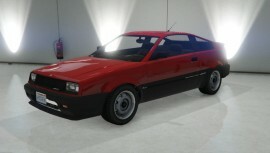 In GTA 5, The Blista Compact shares the same engine noise with the Pegassi Monroe. Can be bought for $42,000 at www.southernsanandreassuperautos.com.